As I write the rain has started falling again, I just managed to get the dogs out for a walk before it started. We have new neighbours, well they haven't moved in yet, but are busy decorating and preparing for the move. So, the card for today is a 'New Home' card. Now first of all I am a bit annoyed about the colour reproduction on this photo, I took several in different locations and none showed the vibrant orange colour as it should be. For the base card I have taken a piece of Craftwork Cards Softies cardstock and then cut a border across the middle from the same cardstock and attached a piece of tangerine (yes it really is a vibrant tangerine) polka dot grosgrain ribbon (sorry I do not know where this came from) around this before attaching it to the base card. 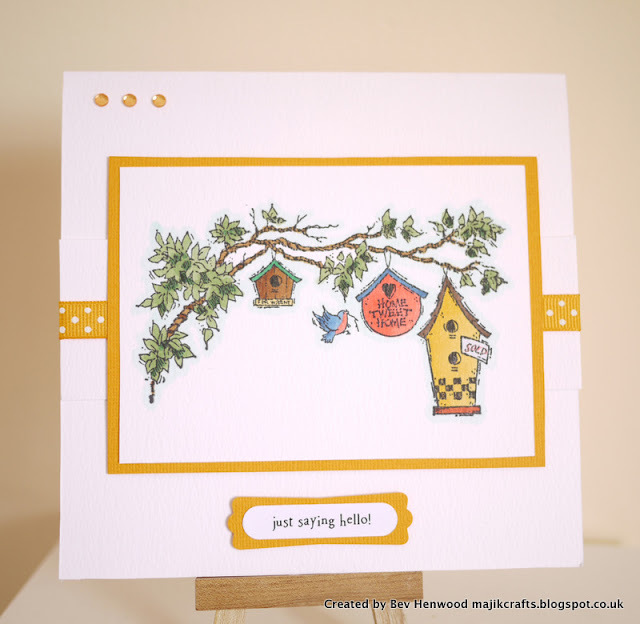 The image is a Stampendous stamp called 'Home Tweet Home' and this was stamped onto a piece of the Craftwork Cards Softies cardstock and coloured with Copics. I have then taken a piece of Papermania textured cardstock in a matching tangerine colour (this was from a pack called 'Warm Sunshine' which has 6 different colours in it) and cut a mat which has been added to the card with 3D foam pads. The sentiment is from Pink Petticoat and was cut out with my Stampin' Up punch 'Word Window' and mounted onto a piece of the Papermania card which was cut out with my Stampin' Up punch 'Modern Label'. The card was finished off with Doodlebug rhinestones. Thank you for visiting today, have a good afternoon. 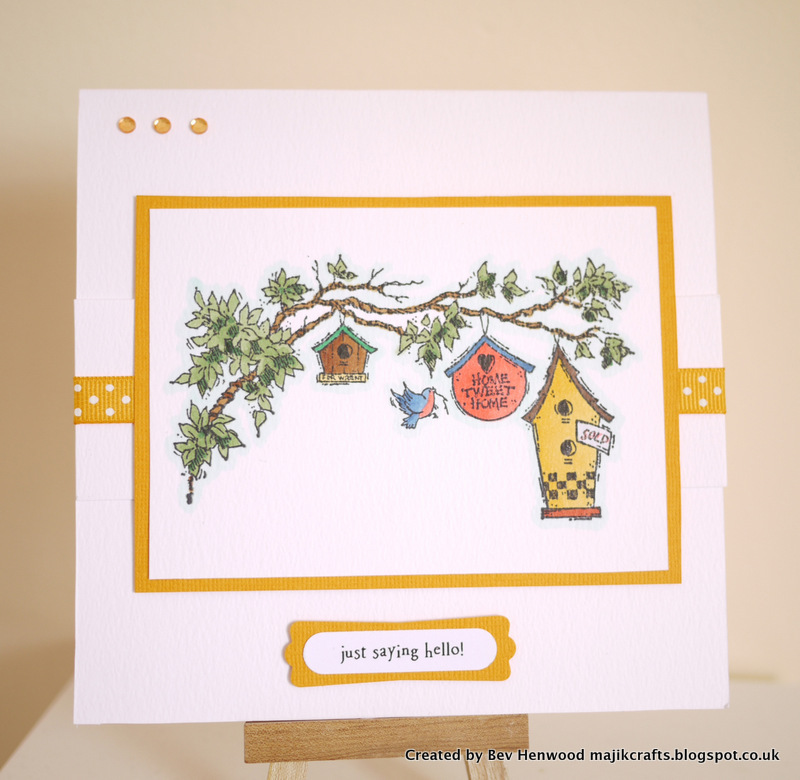 Love your fabulous New Home card. Cameras do seem to have a mind of their own. Loving your cute image on this project very much. Lovely bright colours too. I struggle photographing certain colours too.